Almost five years ago I launched the original version of NickThacker.com–Online Marketing for Small Business. Two years ago I threw in the towel. I had 12 comments, 15 newsletter subscribers (I think 14 of them were just different emails for my mom), and almost 100 posts about blogging, business, marketing, and small business. I was frustrated, tired, and ready to give up completely. Now, my blog is growing steadily, though I certainly don’t have numbers to scoff at: over 200 newsletter subscribers, about the same RSS subscribers, and quite a few more comments on new posts. I’ve done a few things differently, like spending time on crafting catchy headlines, actively pursuing guest-posting opportunities, and generally taking more time to just be more awesome. But there’s one thing that I’ve started doing recently that not only hands-down the best way to grow a platform, it’s also, nowadays, absolutely required. It’s changed the way I approach my business, my blog, and my writing in general, and it can launch you from “no-name” to “successful writer/blogger” faster than you’d ever dreamed possible. You’ve heard the term “content is king,” I’m sure. And while it certainly is true, it’s also pretty clear to anyone who’s ever tried to launch a blog that it’s not always the most intuitive explanation of how to be successful in blogging. Writing and publishing content online is something many, many people have tried to do, reaching many different levels of success (and failure!). I’ve launched at least six blogs on completely different topics in my life, and most of them have been massive failures. But you don’t get to enjoy that much failure without learning a little bit along the way. Pillar articles or posts are the bread and butter of your website or blog. You’ll be launching a creative platform on a website (at least, you’d better! 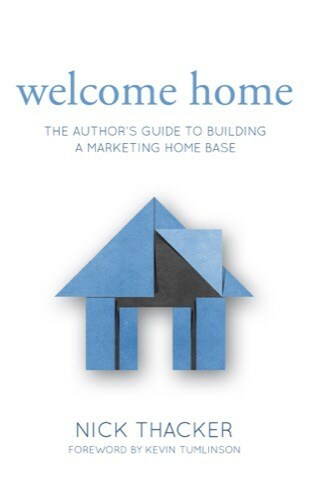 ), and that “home base” will be the core of your online model for success. As such, it’s highly likely that they’ll be the longest, most well-researched, and best content on your entire site–if not the best writing you’ll do anywhere else online. This current incarnation of my own blog, LiveHacked.com, will eventually have pillar content that I can send people–they will be the first place I recommend reading after my About page, and most likely, they’ll be the articles that people link back to the most, and comment on the most. If you’re online to talk about personal finance, these articles will explain your philosophy of personal finance. If you’re all about restoring old cars, these posts will be the most detailed descriptions of how you do what you do. And if you’re a creator, you’ll use these articles to explain how you create, compel, develop ideas, etc. Your platform exists because you have a certain mindset about whatever it is you do. If you’re a writer, you write a certain way because of something, and your pillar content needs to explain this. S0, how do you go about creating Pillar Content? How can you teach someone else to do it? How does it make you money? Obviously, you’ll come up with slightly different twists on these questions, but you can safely start here. Please note, these “questions” aren’t necessarily good headlines for articles, so you’ll want to tweak them in a way that makes them more compelling. Once you’ve figured out what your pillar content is going to be, all you have to do is write it! See what I did there? First, I used topics that are general enough to draw large audiences, but also large enough that allow me to really get deep into the subject matter and offer real, actionable tips and advice. Second, I made sure I crafted headlines that would make people want to click and read. With more time, you can create headlines that are so compelling we can’t help it but click through to see what’s up! Make sure you’re qualified enough on the topics to actually offer great value to the reader. Otherwise, we’ll feel misled or cheated. Some of your pillar content will be in the format of uncovering and acknowledging a problem, hardship, or obstacle you’ve personally dealt with (the personal part is important! ), and offering a solution that worked for you. You don’t have to be the world’s most renowned expert on your topics, but should have personal experience overcoming the problem with a solution that’s able to be duplicated. You don’t have to have written forty novels to talk about “The Best Way to Outline Your Fiction Novel,” but you should have at least written one or two, had some hiccups and obstacles along the way, and overcome the problem of having a bad (or nonexistent) outline with a solution we can use, today. The world doesn’t have that much room for true experts, but it always has room for one more way of doing something better. Figure out what problem you’ve had recently. Write out your solution in a concise and specific way. Rework it into a “show, don’t tell” format: use analogies, stories, and personal accounts when possible. Craft a compelling and “clickworthy” headline. Brush it off and send it out into the world! These posts should actually be easier to write, as there’s not going to be as much experimenting/testing and research. These are in-depth posts about who you are, and what you do (or want to do). Create a list of what your brand means/what you’re trying to accomplish. Add in personal accounts–why you’re trying to accomplish these things. Tell us why we should care. What’s in it for us? Why does it matter? You’ll notice I didn’t include “send it off into the world” as a step. I feel like these “personal testimony” articles are the kinds of sticky content that I prefer to find naturally, as I’m browsing through a blog or website. Maybe they’re linked from the “About” page, or maybe it’s a “Start Here”-type series, but I don’t usually want to “send these out into the world” in the same way. Both are great examples of Pillar Content, but only one is really viable for “viral” status. You don’t want to seem spammy or too self-promoting to focus much energy on these latter posts, in my opinion. Feel free to debate this in the comments! Using these two different types of “pillar” content, you can launch an entire platform. If you keep it up, writing every post like it’s Pillar-worthy, you’ll probably find success that much faster. It’s up to you–you have a choice in how to grow a platform. Content is definitely still king, but put the emphasis on quality, not quantity, and you’ll be much closer to breaking out of the land of mediocre blogs and mediocre content. What do you think of Pillar Articles? Have you used them to create awareness for your brand or market? In the comments section, add some links to your own pillar articles, and I’ll definitely check them out! How do you know how many RSS feed subscribers you have? I would love to find out…. I use Feedburner, which is now owned by Google–you just “feed” your feed into its gaping maw, and it spits out cool data! Check it out–it’s super easy to use, and thanks for stopping by! Thanks for the mention–great post! this makes so much sense! I have a blog and today I found out about pillar content, something i didn’t know about before **whoops** but I will SURELY make more pillar content posts!!! Hi there! Thanks for stopping by, and for commenting! Glad you liked it! Great article. Will try these techniques out. Awesome article. Gonna make this a reference point from now on. of it and i also have you saved to fav to see new information on your site. You have some really great articles and I believe I would be a good asset. I’d love to write some articles for your blog in exchange for a link back to mine. Please shoot me an e-mail if interested. Regards! I am working on my Pillar content which really emerged over the first yea of my blog. I am like you in that I authored another more personal blog in years past. I would love for you to check it out. Is it compelling enough? helpful enough? to broad or too specific? I find my content becoming more narrow as the year progresses. I don’t know if I believe in this mind control because I always felt there was some kind of conspiracy going on since I was a kid and never trusted people in authority till this very day. I could always tell a lie when I heard it from the discord in my gut but what can you do other than to pretend to go along with it when you feel you are out powered? à°°à°µి à°—ాà°°ూ,à°µాà°²ిà°ªోంà°¡ి! à°¸ొంà°¤ à°—ొà°¡à°µà°²ు à°Žà°¤్à°¤ేà°µాà°°ెà°µà°°ూ à°‰ంà°¡à°°à°¨ే à°†à°¶ిà°¦్à°¦ాం! à°µà°¸ుà°§ైà°• à°•ుà°Ÿుంà°¬ంà°²ా à°•ాà°•à°ªోà°¯ిà°¨ా à°¸్à°¨ేà°¹ిà°¤ుà°²్à°²ా à°•à°²్à°¸ి à°°ెంà°¡ు à°°ోà°œుà°²ు à°ªà°¨ి à°šేà°¦్à°¦ాం! à°ªà°¨్à°²ో à°ªà°¨ి à°ªిà°²్à°²à°²à°•ు à°—ేà°®ుà°²ూ, à°ªుà°¸్à°¤à°•ాà°²ూ à°•ొà°¨ేà°¸ుà°•ుంà°¦ాం à°®à°¹ేà°·్,à°‡ంà°•ా …à°•ాà°¨ీ…à°à°®ిà°Ÿి? à°µà°š్à°šేà°¯ంà°¡ి! Um, let’s chew on that one for a minute.Why not?1. Crocodile uses sub-standard ingredients.2. Crocodile sandwich makers seem to have great difficulty in putting a proper amount of meat and cheese on their product.3. The mayonnaise used by Crocodile has been rancid for years and caused many locals and expats to lose their lunch.4. The average price for a Crocodile baguette is now 44kc, NOT 30kc as you implied.5. Many of us prefer real, fresh food to pre-packed and cello wrapped shite. Crazy, I know. I just could not go away your web site before suggesting that I very enjoyed the usual info a person supply to your guests? Is going to be back ceaselessly as a way to inspect new posts. -Laure,Et il y a les libraires (toutes tendances confondues) qui vous font sentir qu’ils sont toujours plus intelligents que les auteurs qu’ils prÃ©sentent. Aw I hope you get the hang of driving soon. I'm sure you will! It's nice having the freedom to transport yourself places without having to ask someone!Also you look super cute in this outfit. That top is fantastic with the little collar on it. I think wait times are a first world complaint. They’re a distraction. It’s rarely relevant in the first world democracies in a medically significant way, but a whine we do when we don’t get what we want when we want it. As a teacher I often have to find my happy place in order to calm down and not lose my temper. I just take lots of deep breaths. My toddler imitates me now! I love the pine idea…and the new blog! I love your All-In-One Changing Mat! I was wondering what gauge of clear vinyl you recommend. I have not worked with vinyl before and found that I could buy anywhere from 6 gauge to 40 gauge. I assume the higher the gauge the better for the changing mat purposes…?